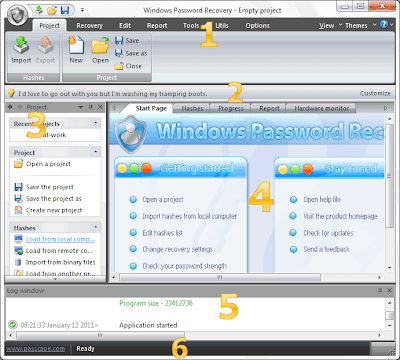 Welcome to Windows Password Recovery, a network security analyzer and Windows password recovery utility. 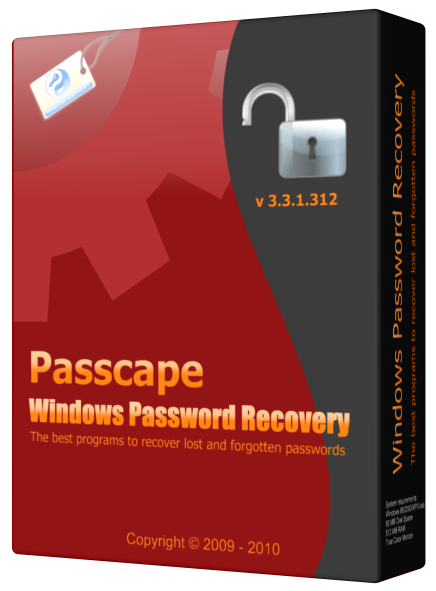 Windows Password Recovery tool is the only solution that implements the most advanced, patented password recovery technologies developed in Passcape Software, such as Artificial Intelligence or Pass-phrase attack. Contemporary, easily customizable graphical user interface. Imports hashes from 8 other programs. Imports directly from SAM or ntds.dit; even if the files are locked by the system, the program still reads them. Imports hashes from remote computers. Import hashes from system shadow copies, restore points, backup and repair folders. Can backup\save local registry files and Active Directory database. 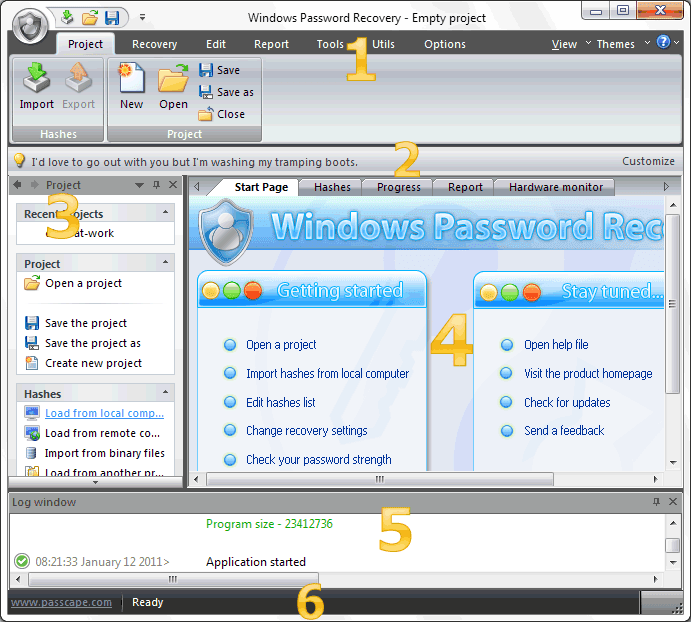 Recovers some account passwords instantly (when importing locally). Supports Active Directory (domain accounts). Supports importing from 64-bit systems. Exports hashes to the PWDUMP file. The software has 14 types of different attacks. Some of them are unique, implemented upon patented technologies. The program supports multithreading, fully leveraging the power of modern computers. Dictionary attack supports text dictionaries in the ASCII, UNICODE,UTF8, PCD, RAR and ZIP formats. Broad choice of online dictionaries for dictionary attacks (about 2 GB). Not enough? Take a look at our ultimate and unique 6Gb wordlist collection. Some of the program's functions - e.g., word mutation - are unique. For example, the total number of mutation rules exceeds a hundred and fifty. Not any other similar application features that! Supports unlimited number of inspected hashes. Artificcial Intelligent analysis of found passwords. High search speed on modern computers - over 100 million of passwords per second (without utilizing the power of GPU). 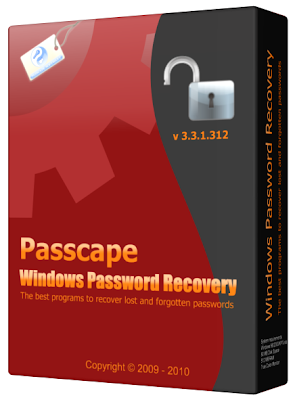 Includes auxiliary tools: hash generator, password strength check, rainbow tables generators, SAM/NTDS.DIT backup tool, asterisk password revealer, resetting user password directly in SAM or NTDS.DIT files, SAM and NTDS.DIT explorers, DPAPI offline decoder, etc.